Frederick Lamlough designed the Albany Steamer, better known as the Lamplough-Albany Steamer, which was produced by the Albany Manufacturing Company, Ltd. in 1903. 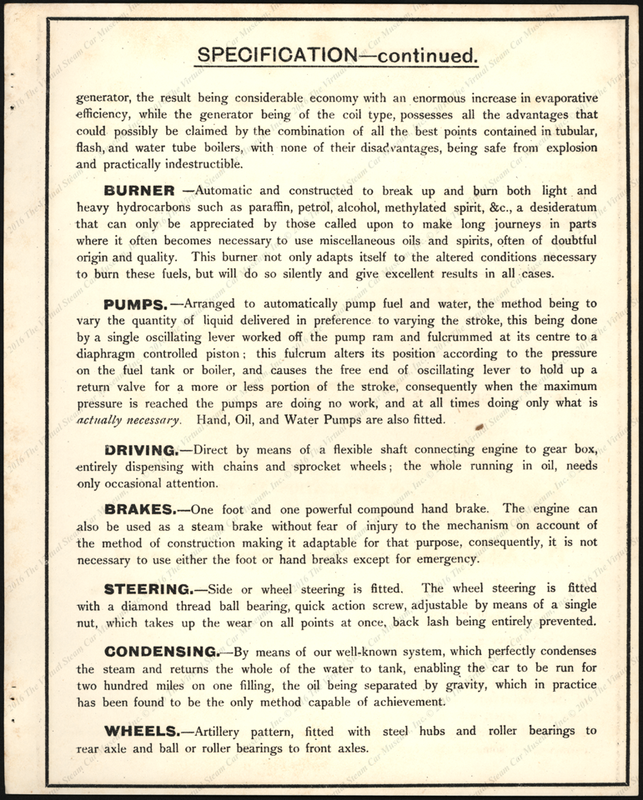 As the photocopied trade catalogue below describes, it featured "a pair of engines . . . coupled together with the cranks set at right angles." 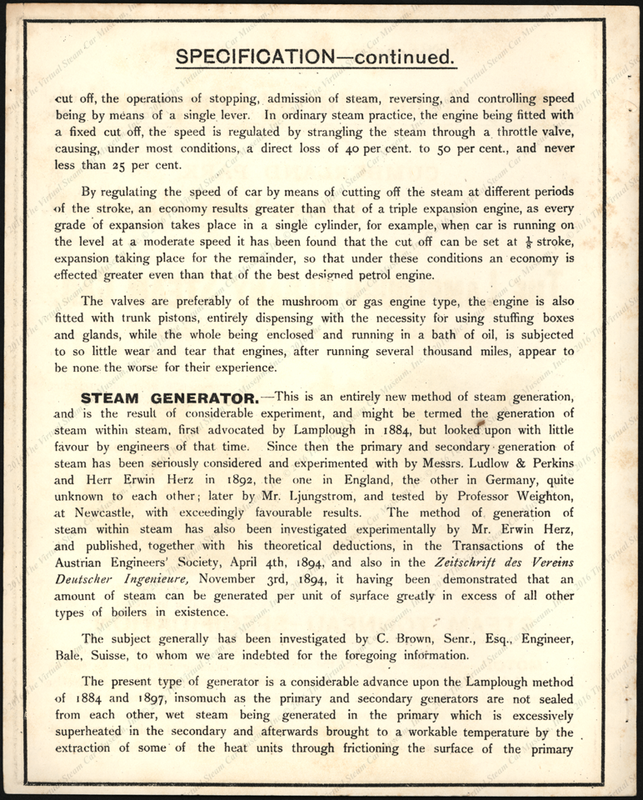 Its steam generator featured "an entirely new method of steam generation, and is the result of considerable experiment, and might be termed the generation of steam with steam, first advocated by Lamplough in 1884." As early as 1896, Lamplough designed a shaft driven steam car. 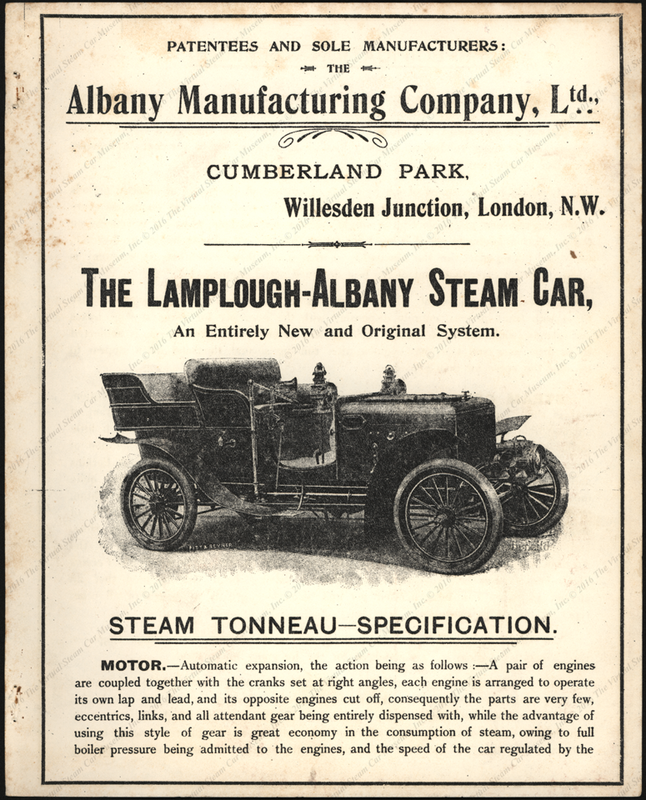 The Albany Manufacturing Co. Ltd made both petrol and steam cars between 1903 and 1905. Note the lever steering mechanism. The Lamplough-Albany was also offered with a steering wheel. 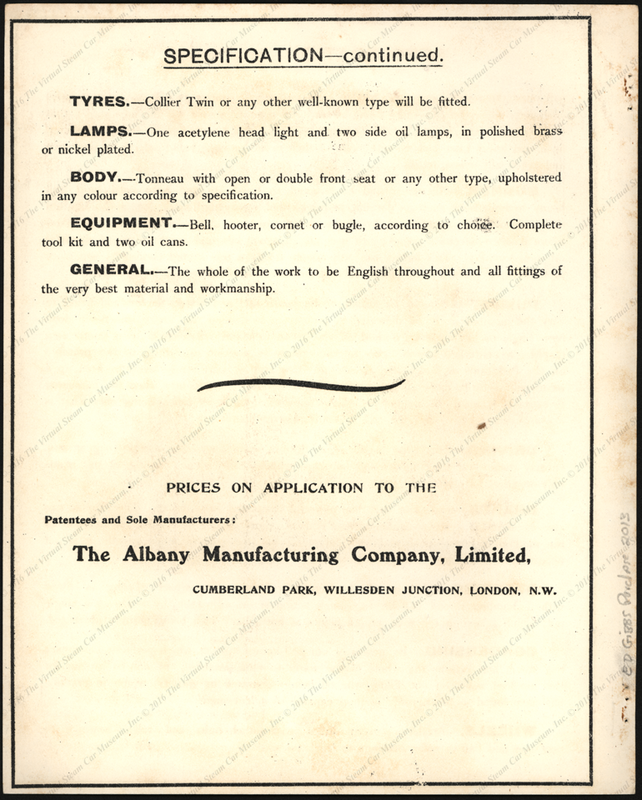 This Albany Manufacturing Company, Ltd. trade catalogue dates from 1903. It is an early photocopy. Edward Gibbs Collection. This information is drawn from Wikipedia, which cites, Georgano, G.N., "Albany", in G.N. Georgano, ed., The Complete Encyclopedia of Motorcars 1885-1968, (New York: E.P. Dutton and Co., 1974), pp. 31.